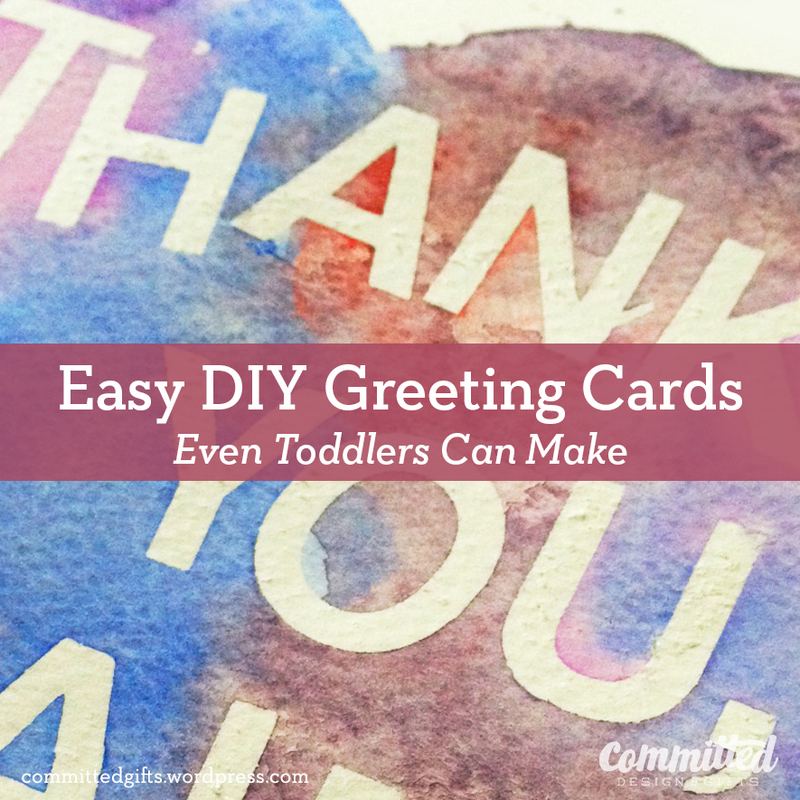 Makeover Monday: DIY Greeting Cards a Toddler Can Make | Committed. Watercolors (the usual cheap-kid-craft kind are perfect!). Just a few supplies to make cards! Peel and stick your letters on the card. A little trick I like to use: don’t make it perfect. If you try to make your letters line up and space correctly, you’ll drive yourself nuts! In fact, make the letters a little wonky! Making them look intentionally uneven keeps it from looking like it’s a mistake! Have fun with it—be imperfect!Also: If you have permanent stickers, like mine, press them lightly to the paper. You want to seal off the letter forms, but you also want to be able to peel them off when you’re done. Just a light pressure from your fingertips does the trick. A little bit of the paper peeled up here and there, but it’s hardly noticeable. 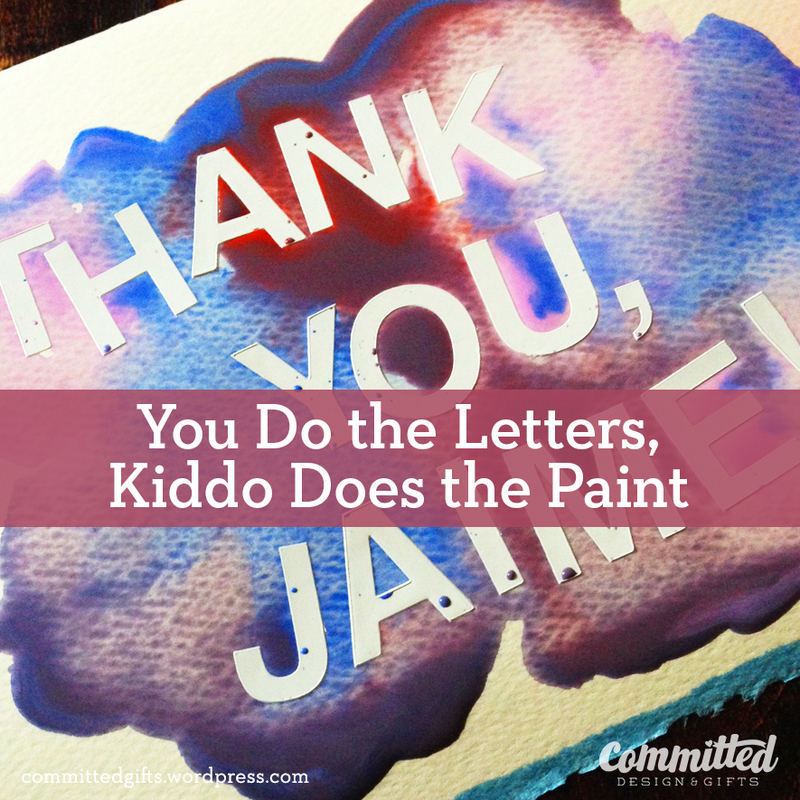 Peel off the letters.Once the paint has dried completely, gingerly peel off your letters. You may get a little paper peeling up with these, but patience helps! If your card has warped with exuberant painting, you can press it under some heavy books for a few hours to smooth it out. Again, don’t go for perfection! 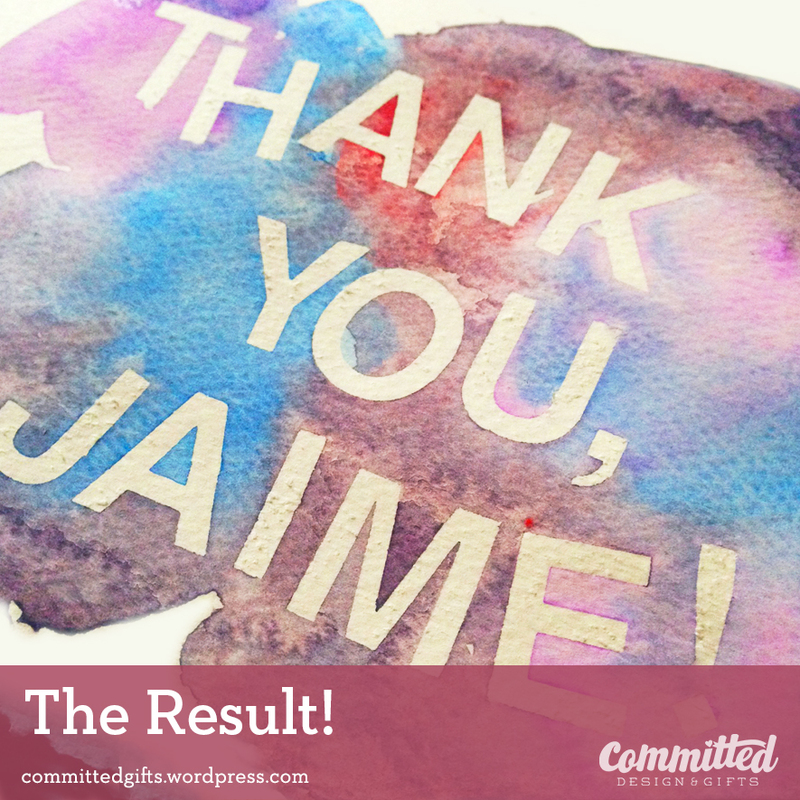 A simple, handmade card that any teacher (or mother) would love! How do you like to show gratitude and celebrate the ones you love? Share in the comments below!